The annual migration of the Magnificent HUMPBACK WHALE to Southern Mozambique Waters. A perfect opportunity for whale watching! The Humpback Whale makes her long and arduous annual migration from the cold Southern Waters of the Antarctic, which is also their winter feeding grounds, to the warm waters around the equator hence here in Southern Africa / Mozambique to birth their calf. A perfect opportunity to participate in whale watching with our team. It is at this time of year we are privy to observing this exquisite natural phenomena of mother and young calf both finding safety and social acrobatic play in these shallow warm waters. Strict Regulations of the Ponta Malongane Partial Marine Reserve (MPA) guide all our whale watching interactions. Whale watching is only possible to those that are granted a permit and may respectfully approach within the 300 meter regulated distance to observe these magnificent creatures. Humpback whales are generally quite curious about their watery environment. This generally makes them easily approachable. They are often seen displaying many marvellous surface behaviours which makes them a firm favourite in whale watching tourism around the world. 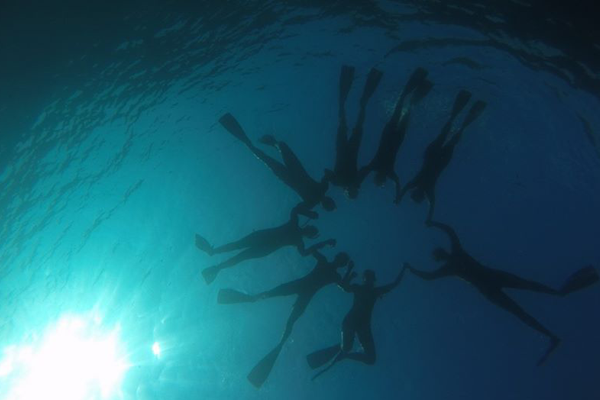 Eco Travel encourages our guest to not only have a life fulfilling experience but find deep respect for our delicate Marine environment. 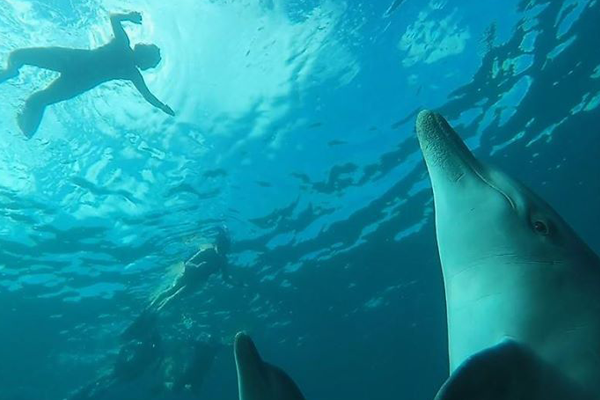 Choose your Southern Mozambique holiday and come on a wild dolphin retreat with Halo Gaia in the months of our whale watching visitation, which is indeed highly recommended and wonderfully educational. Humpback Whales (Megaptera novaeangliae) are named humpback because of the distinct ‘hump’ on its back, clearly noticeable when they arch to dive. This is the 5th largest of the great whales. 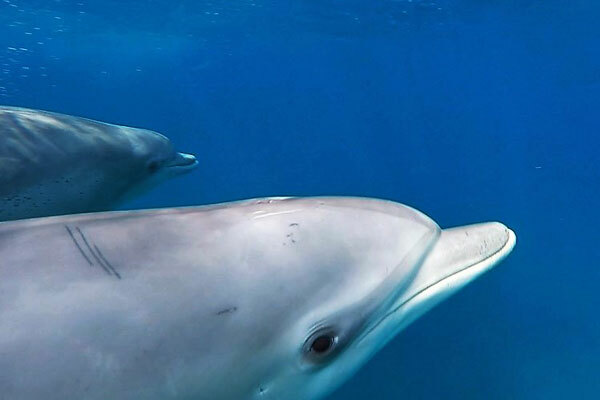 Their scientific name comes from the Greek word ‘mega’ meaning ‘great’ and ‘pteron’ meaning ‘a wing’, because of their large pectoral fins that can reach a length of 5 metres, this is about one-third of their entire body length, proportionately it is the longest fins of any cetacean! Their black and white fluke or tail is distinctly patterned; the pectoral fins also have unique markings which make individual migrating whales identifiable. The humpback whale is a baleen whale / toothless whale and belongs to the rorquals which have distinctive throat grooves. 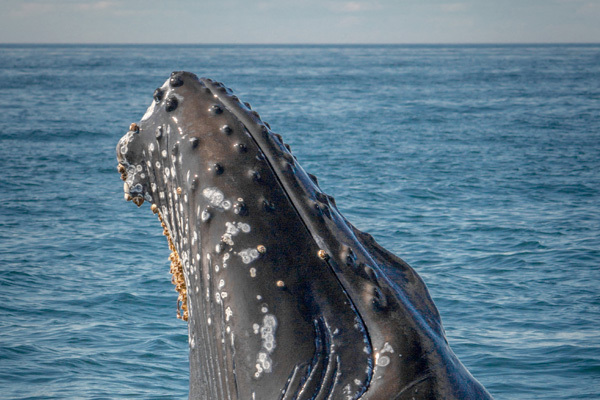 The head and lower jaw of the Humpback Whale are covered with knobs called tubercles, each of which has a long coarse hair growing from its centre which is believed to act as a sensor. Humpbacks have 270 to 400 baleen plates on each side of the mouth. The plates can measure up to 90cm long. Ventral grooves run from the lower jaw about halfway along the bottom of the whale. Adults range in length from 12–18 metres and weigh approximately 36 tons, although there have been reports of whales weighing 82 tons. Females reach sexual maturity at around the age of five years, but only they achieve full adult size years later. Males reach sexual maturity at approximately 7 years of age. Courtship occurs during the winter months and on their long annual migration from the feeding grounds of the cold Polar waters to the calving grounds of the warmer waters. Mating rituals can be fierce with anywhere from 2 to 20 male whales tagging a single female. The female will eventually pick her mate and he will become the “escourt” for both herself and her new-born calf’s return trip to the poles. Females may calf every two or three years. Thus it is also possible to see a mother whale with her older calf also accompanying the new born. Their gestation period is 12 months, yet some individuals have been known to breed in two consecutive years. 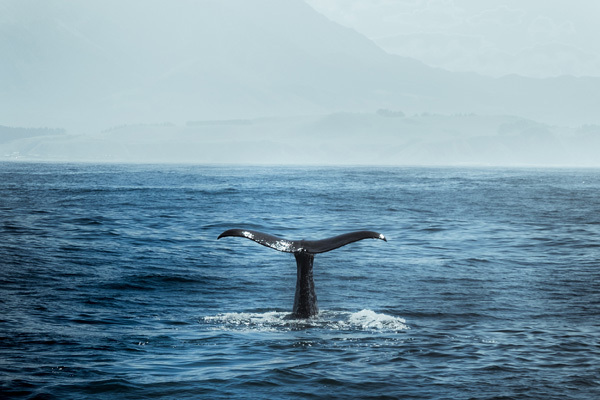 Humpback whales were thought to live 50–60 years, but new studies using the changes in amino acids behind eye lenses proved another baleen whale, the Bowhead, to be 211 years old. New-born calves are roughly the length of their mother’s head. The average new-born calf is around 4.5 metres long and, weighing 1.5 tons. Humpback milk is 50% fat and pink in colour. Calves drink around 240 litres of milk per day and the suckling calf can gain more than 45 kilograms a day during the first few weeks of its life. Nursing ends at about 11 months, when the calf can be up to 9 metres long. Both male and female humpback whales vocalize, however only males produce the long, loud, complex musically rich “songs” for which the species is famous. Each song consists of several sounds in a low register that vary in amplitude and frequency, and typically lasts from 10 to 20 minutes. Cetaceans have no vocal cords, so whales generate their song by forcing air through their massive nasal cavities / blow holes. Humpback Whales within one population all sing the same song. Different populations will have different songs and each population’s song changes over time. There are several different hypotheses as to the purpose of the song of the Humpback Whale. Some scientists suggest that it may be to attract females, or a challenge to other males, or even may be used to keep populations together during their migration. The Humpback Whales feed only in the Polar Summer months and then live only off their fat reserves during their migration to and from their calving grounds in the tropics. They have a diverse diet ranging from krill (small crustaceans) to squid and schools of smaller fish and can consume up to 1 ton of food per day. Its most inventive technique is known as bubble net feeding: Whales swim in circles below their prey, exhaling a “net” of bubbles with others vocalizing. Once the prey has been chased into a tight bait ball, the whales approach from below with their mouths open to scoop up huge amounts of food. Where are these whales found? 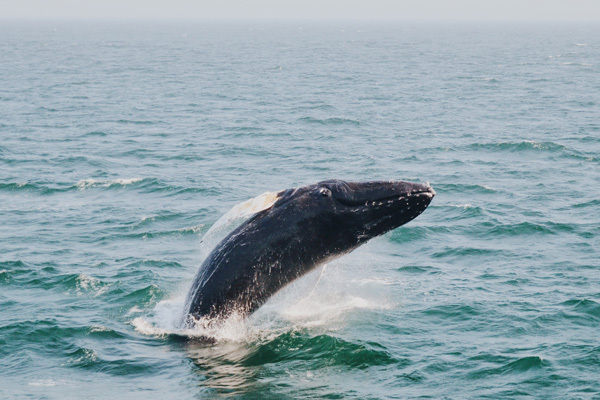 Humpbacks inhabit all major oceans and most of the Humpback Whale populations are migratory, spending summers in cooler, waters and mating and calving in tropical and sub-tropical areas. They are known to have the longest annual migration of any mammal. There are four global populations, all under study. North Pacific, Atlantic, Southern ocean and Indian Ocean humpbacks have distinct populations which are not believed to mix. Whale watching is a very special activity and seeing is believing when you encounter these marvellous creatures. Whale watching during the annual migration and calving seasons is an experience. 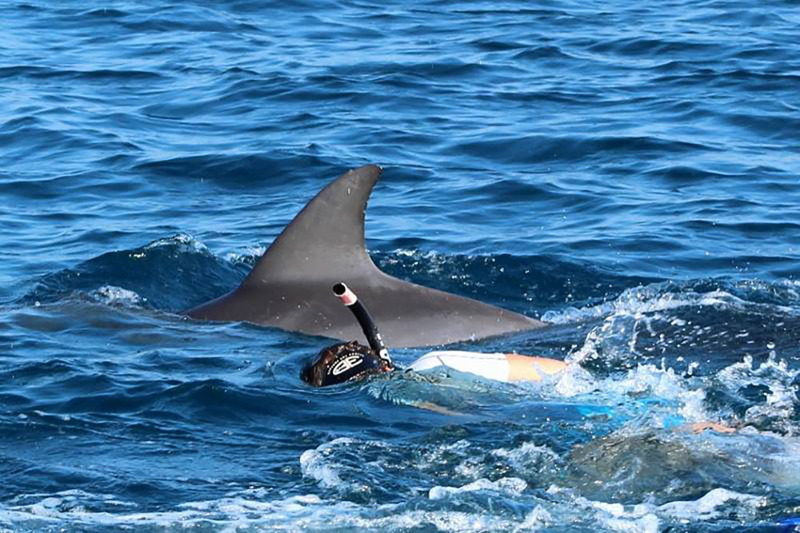 Along with this, you can swim with wild dolphins in the idyllic, wild Ponta Malongane, Mozambique and find your WILD AND FREE! 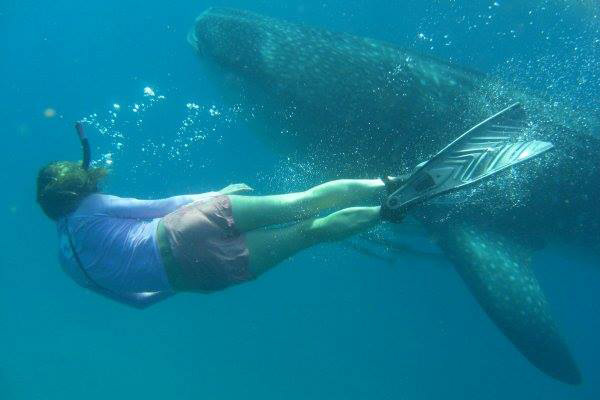 Enjoy a “swimming with wild dolphins” and whale watching experience of a life time with your host, Courtney Ward and other internationally-renowned facilitators and wellness experts. Head on over to our year-at-a-glance page for a quick view of our plans for upcoming retreats and events. 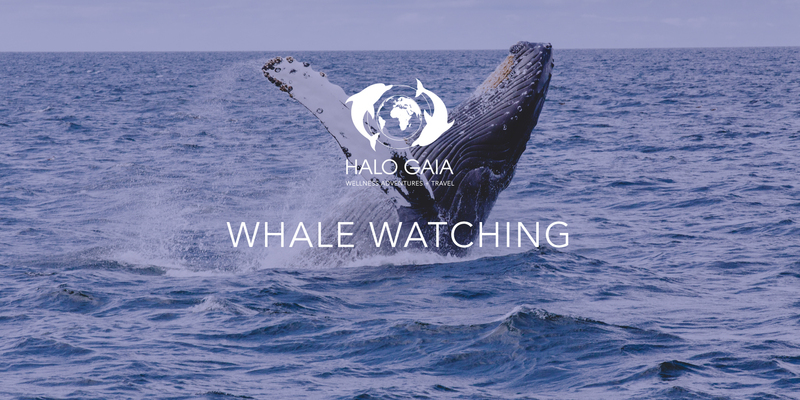 Halo Gaia along with running regular Wild dolphin retreats to this magnificent part of the world also offers across the board accommodation for the Holiday maker. 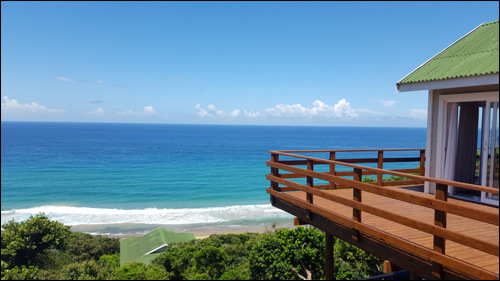 Due to our extensive years of experience in this area, we are able to source and create the perfect CUSTOM made getaway, be it a RUSTIC or LUXURY holiday. Let us help you make beautiful memories! 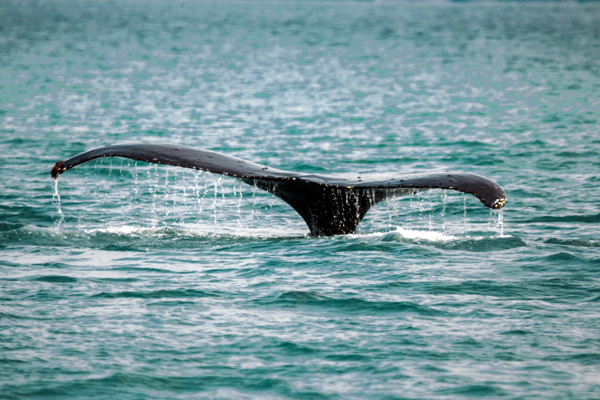 Book Now and Experience Whale Watching in Southern Mozambique this season! 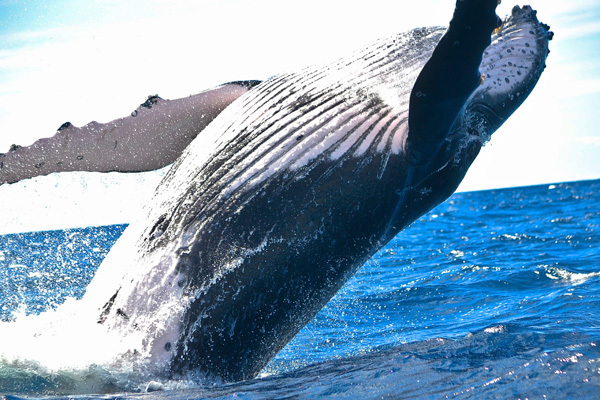 Humpback Whales are the most acrobatic of all whales. Breaching: Whales can launch themselves completely out of the water, large splashes seen. Lob-Tailing: Whales lie vertical in the water with their heads down, slapping the water continuously with their tails. Sailing: Whales lie vertical in the water with their heads down but in a stationary position with only their tail sticking out. Flipper slapping: Whales lie at the surface on their backs and loudly slap their pectoral fins onto the water. Spy-hopping: Whales push their heads right out of the water. Reaching great sight vantage as both eyes are now out the water.